Both Wade and Dirk called it quits this year, so of course, the NBA community had to start talking about which guy is higher on the all-time pecking order. It's a pretty close race any way you slice it, with Dirk having more stats, and Wade having more rings (he also played defense) so people are pretty split. Marion played with both men, on the Mavs with Dirk and the Heat with Wade ... and he has an opinion ... he thinks everyone should shut the hell up. "Everybody gotta compare somebody to somebody. Stop that sh*t."
Marion's aggravated point is that the 7'0" Dirk and the 6'4" Wade had two TOTALLY different games and comparing them is pointless and almost insulting to their legacies. 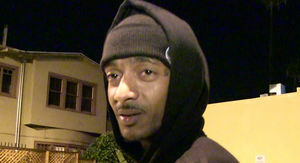 "Respect what they done. They both were true professionals, and they left a legacy to live and continue to live out now that they're done." We agree, Shawn. 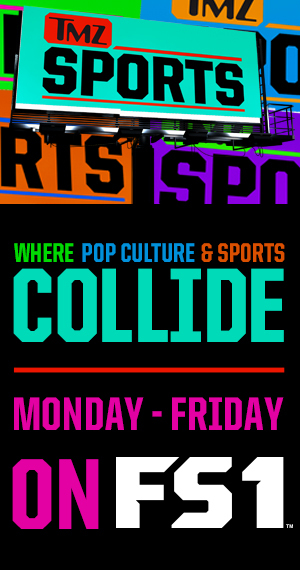 But, just for argument's sake, we wanna know which guy you'd put with you in a pickup game for the fate of the world. We're trying to see something. 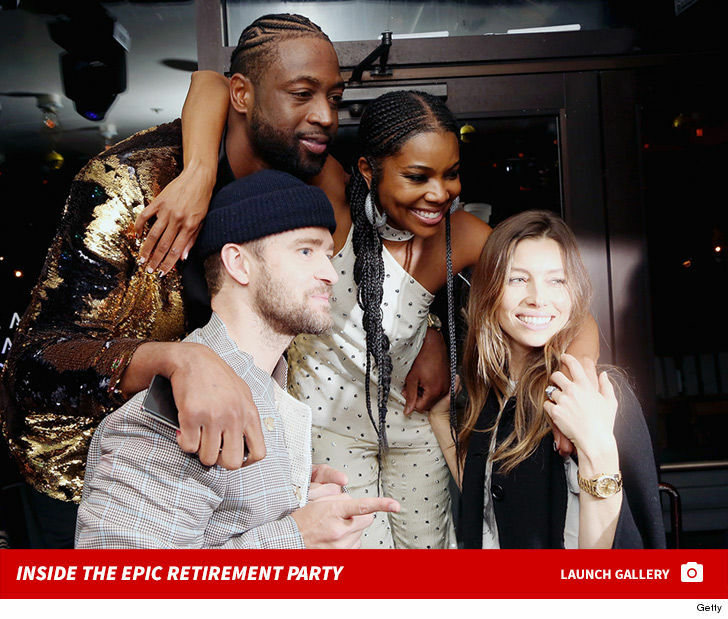 He's only got ONE more NBA game left in Miami -- so some of Dwyane Wade's most famous friends threw him a huge bash to celebrate the end of his amazing 16-year NBA career ... and the pics are GREAT!! 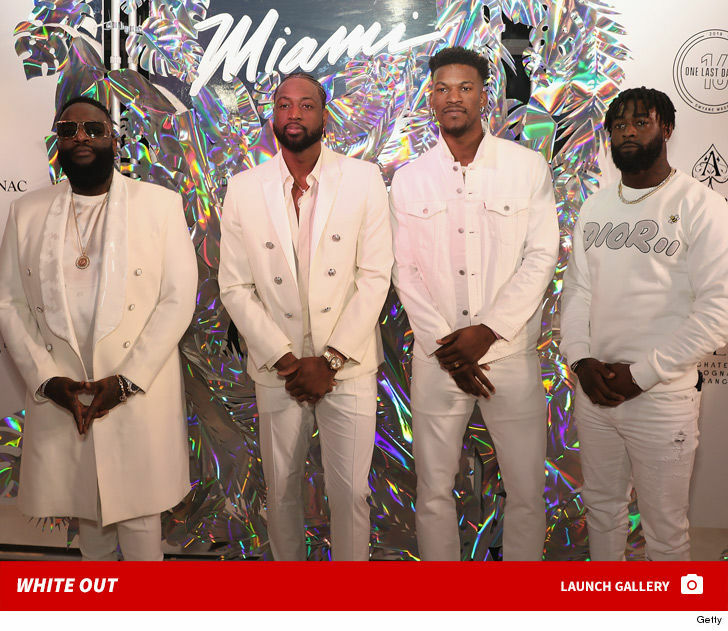 Huge rap stars like Rick Ross and Meek Mill partied with NBA stars like Jimmy Butler and Chris Bosh Monday night at the official "One Last Dance" bash at the Prime 112 steakhouse in Miami Beach. D-Wade's mom and dad showed up to the party too -- along with Pat Riley, Erik Spoelstra, Fat Joe and more!!! 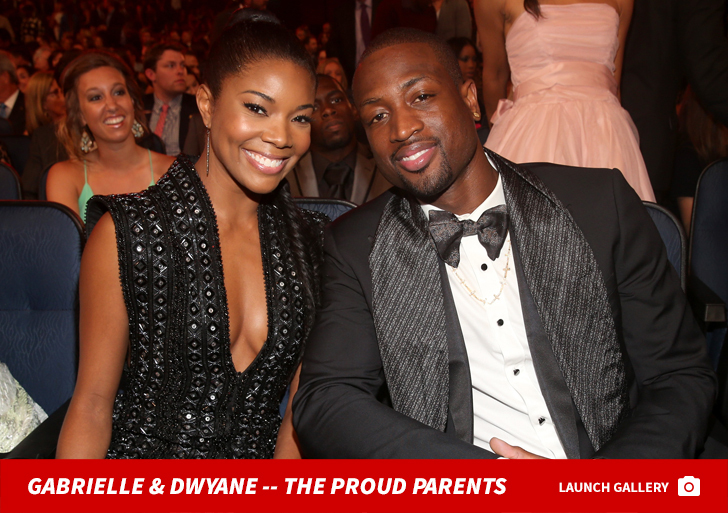 Of course, Dwyane's wife, Gabrielle Union, was front and center. 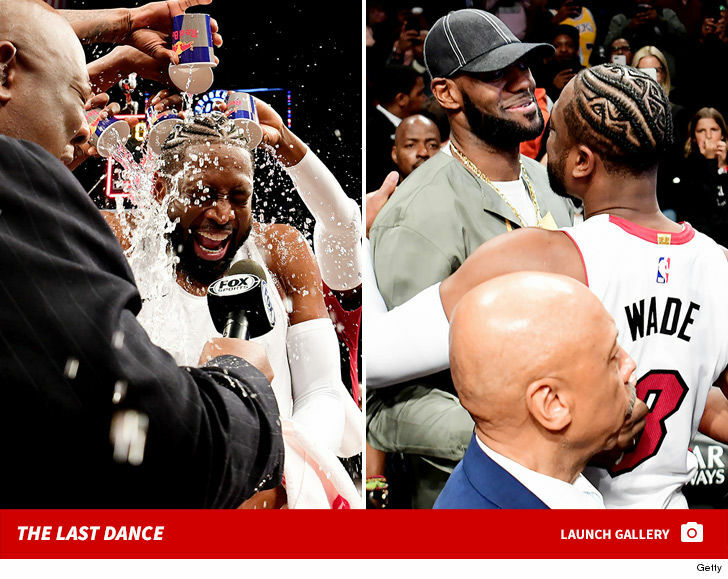 The guys had champagne, personalized bottles of whiskey ... and D-Wade even got a massive bottle of wine during the Miami bash!!! Ya gotta see the crane machine game that was stocked with Dwyane's designer socks from his sock line. Of course, Wade announced this season will be his last ... and his final game in Miami is Tuesday night against the 76ers. His last-ever game is Wednesday in Brooklyn against the Nets. It's been a hell of a career for the future Hall of Famer ... dude was a 3-time NBA champ, 13-time NBA All-Star, 2006 NBA Finals MVP AND the 2008-09 NBA scoring champion. In fact, the career was so legendary ... ya gotta check out the FIRE fishnet shirt Jimmy Butler broke out for the party!!! Shane Battier is off the deeeeeeeep end ... and it's beautiful as hell. 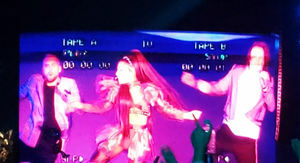 The 2-time NBA champ hit the stage to put on his best rendition of Lady Gaga and Bradley Cooper's "Shallow" at his charity karaoke event on Thursday ... and this guy pulled out all the stops. Look ... singing the ballad in front of ANYONE requires some guts. But, to do it in front of a huge crowd while wearing a dress AND a wig puts the whole thing over the top. 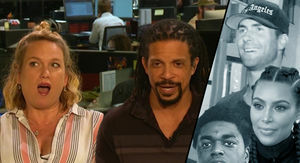 Miami Heat TV host Jason Jackson played the role of Cooper ... and he even put on a wig as well!! It was all part of the 7th Annual Battioke Event in Miami ... which raises money for college scholarships. Battier clearly stole the show ... but there were other great performances from Kelly Olynyk, who sang some classic One Direction ... and Pierre Garcon, who pulled off "Let Me Love You" by Mario. The championship belt ended up going to Heat GM Andy Elisburg, who sang "Soul Man" by the Blues Brothers. 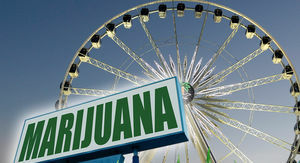 We're told the event raised more than $150k!!! 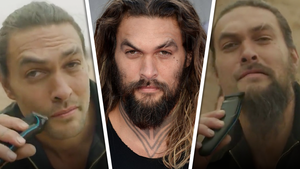 Props to all involved ... and if there's ever "A Star is Born 2," we know who to call. Gabrielle Union I Lost My Mind On Airplane ... Watching Dwyane Wade! Gabrielle Union joined an EXCLUSIVE mile-high club this week ... becoming maybe the first wife ever to watch her hubby hit a game-winning shot on an airplane!!! It all went down Wednesday night ... when Gabby was some 30,000 feet in the air watching Dwyane Wade's Heat play the Warriors. Union says the plane had Wi-Fi, so she was able to catch the whole game ... including Wade's miracle buzzer beater that lifted Miami over Golden State, 126-125. 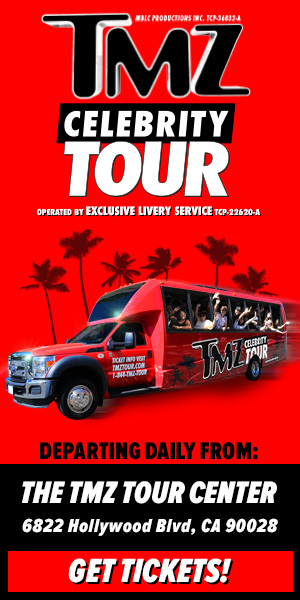 Union tells TMZ Sports her reaction to the play was priceless ... saying she was screaming her face off right in her plane's chair!!! Gabrielle also told us the moment was extra special for another reason ... revealing some of the Parkland H.S. shooting survivors were in attendance for the game. "The kids from Parkland were there, and he hit another game-winner, and it was, you know, angels among us." Wade's been killin' it this season ... dropping 14.3 points, 4.2 assists and 3.8 rebounds per game. The future Hall of Famer has announced this season will be his final one in the NBA. What's better than having a fully tricked out, $125k Jeep in your garage?? 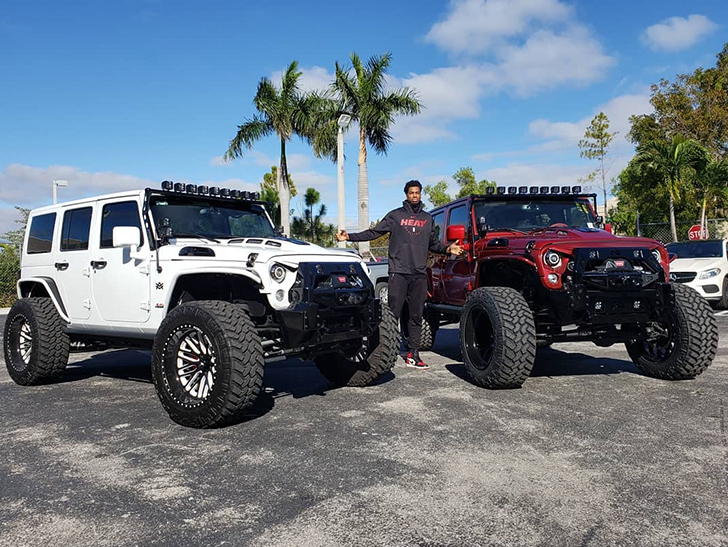 TMZ Sports has learned ... Miami Heat star Hassan Whiteside copped a baller white 2018 Jeep Wrangler this past offseason from Alex Vega of The Auto Firm. 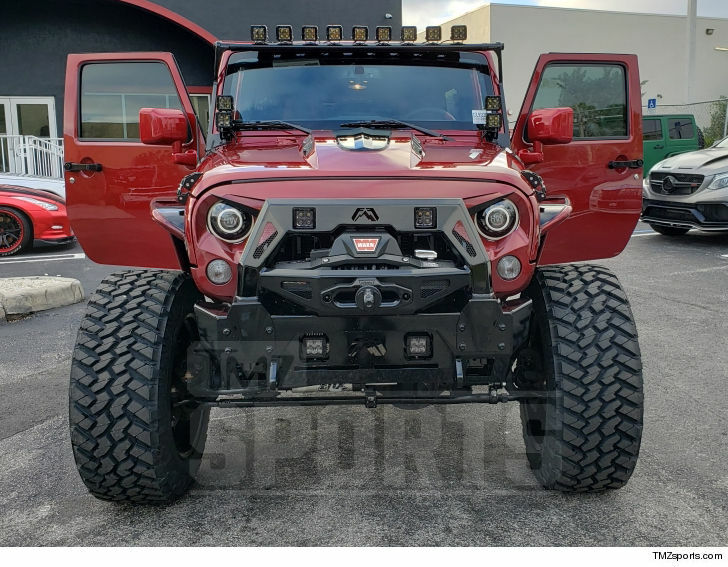 Turns out, Vega did a bang-up job ... 'cause Whiteside had him make ANOTHER badass Jeep exactly like the first -- that means 22-in Avorza rims, massive 37-in. Nitto tires, incredible sound system, 6.4 Hemi engine ... and a really awesome car horn!! Whiteside picked up the twin early on Monday ... and we're told he LOVES it ... and even started showing it off on social media. It's worth noting ... the 2 whips match the Heat colors, so that's a nice touch. We're told both Jeeps set Whiteside back over $125k each ... for all you math flunkies, that's more than a quarter-mil on the 2 whips. Hey ... the dude's in the middle of a 4-year, $98.4 million deal ... can you blame him?? 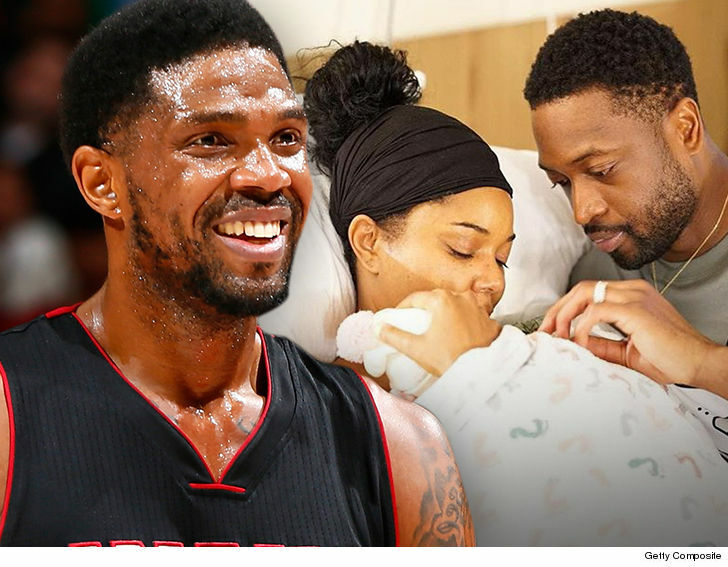 NBA's Udonis Haslem to Dwyane Wade, Make Me the Godfather! LeBron James and Dwyane Wade faced off on the court for the last time on Monday night ... and the biggest names in Hollywood had front row seats for the epic showdown. It was a bittersweet moment for NBA fans ... LBJ and Wade have had some insane matchups over the past 16 years, so there was no way the biggest Laker fans would miss this one. 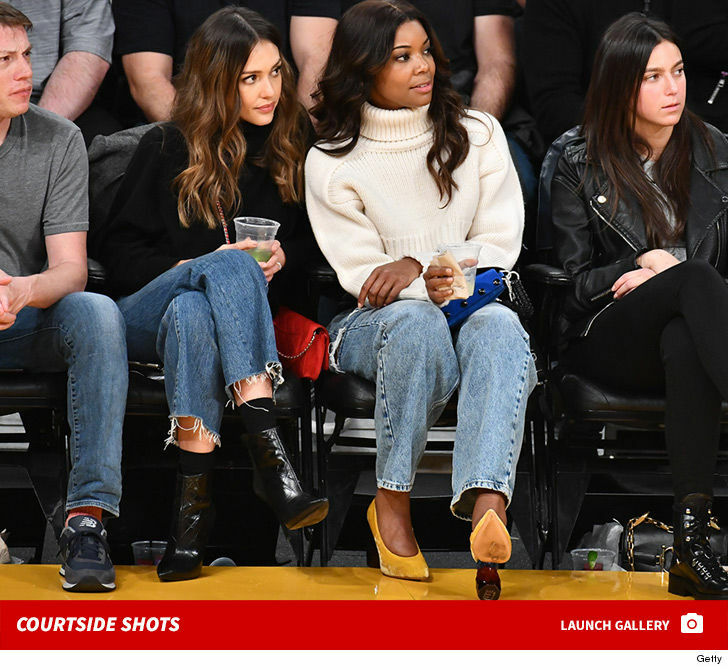 Wade's wifey, Gabrielle Union, had a courtside seat with her "L.A.'s Finest" costar Jessica Alba ... and Rams studs Brandin Cooks and Jared Goff also grabbed floor seats for the big game. 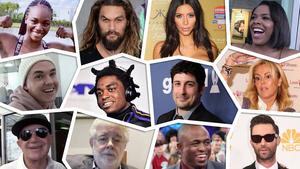 Other stars include Future, Kevin Costner, Kate Beckinsale, Denzel Washington and Will Ferrell. They picked a great game to go to ... with LeBron guarding Wade on a potential game-tying 3 in the final seconds of the game ... which he missed. The Lakers came away with the 108-105 win over the Heat ... giving the King the 16-15 overall record against his basketball bestie ... and a lifetime of bragging rights. 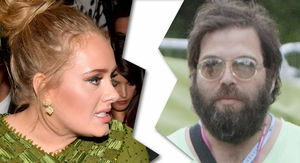 The superstar actress and her man have been vacationing off the coast of Spain ... and the 45-year-old was turning heads all over the beach. 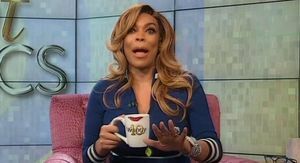 The trip looks super fun -- the Wades and some friends have been golfing, clubbing, eating, yachting and posing for selfies all over the city. 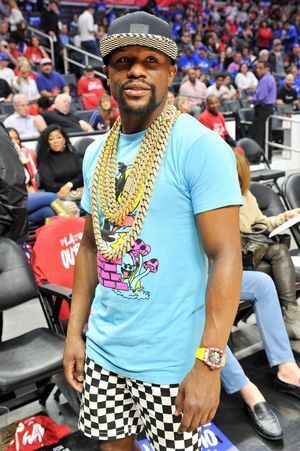 As for Dwyane Wade ... his outfit was cool. Funky shoes and a Euro-style onesie-lookin' thing. FYI, Dwyane Wade is currently on the Miami Heat, but he becomes a free agent in July. There are rumors he could retire ... but, judging by how much he loves Spain, maybe a stint in the European leagues before he hangs 'em up? Miami Heat center Hassan Whiteside isn't getting down or out of shape over his team's early playoff exit ... because he just gets to spend more time with his smoking hot girlfriend. 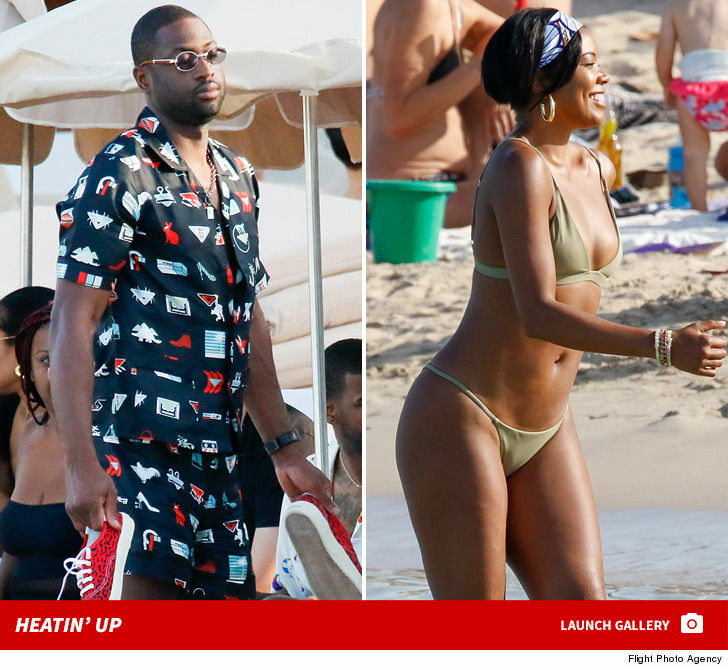 A totally ripped Whiteside and his lady, Ashly Ariza, were spotted at the beach in Miami Tuesday ... and both had no problem showing off their bods. Of course, Ashly's bikini highlighted her assets a little more. Hassan's been the subject of trade rumors since the Heat got bounced from the playoffs early by the Sixers, but he doesn't seem to be sweating that either ... perhaps because he's still got $52 million left on his contract. 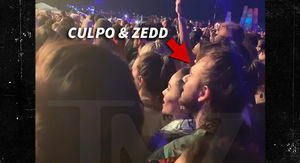 And -- like we said -- he's still got Ashly by his side. Dwyane Wade Father/Son Lob Sesh ... Watch My Kid Dunk!! 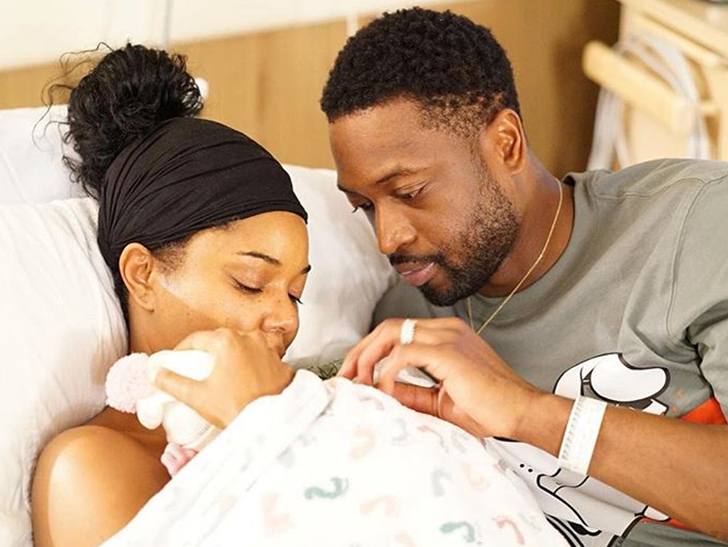 Dwyane Wade is about to do something your dad can't do -- and his son is about to do something you probably can't ... and even worse, they're doing it TOGETHER. Enjoy this father/son dunk session. It starts with Wade, who lobs the ball off the backboard to his 16-year-old (and budding hoops star) Zaire﻿, who throws it down 2-handed off the glass. The family sharing didn't stop there, because then Zaire threw one jelly-style off the glass to the 36-year-old Wade, who rocked it EASILY, proving daddy's still got some bounce. Get your dad off the couch and go be great.